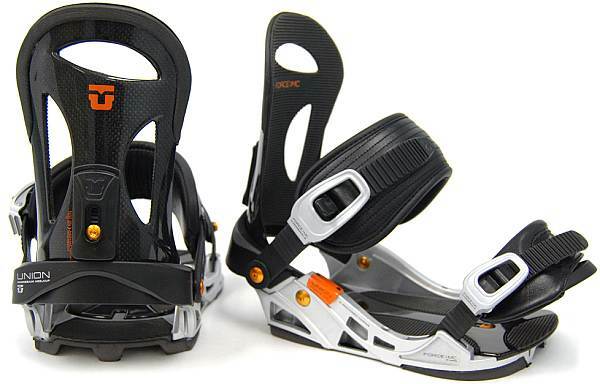 The Union MC Metafuse is one of the top of the line bindings out there. They are the lightest and arguably most responsive binding in Union’s line. Unfortunately this review is only for a few people because this is really expensive. That being said if you are a serious gear whore who wants to have the best and lightest on the mountain the MC is one of the top choices. There have been some changes to the Union MC Metafuse 2014 that have improved the ride. 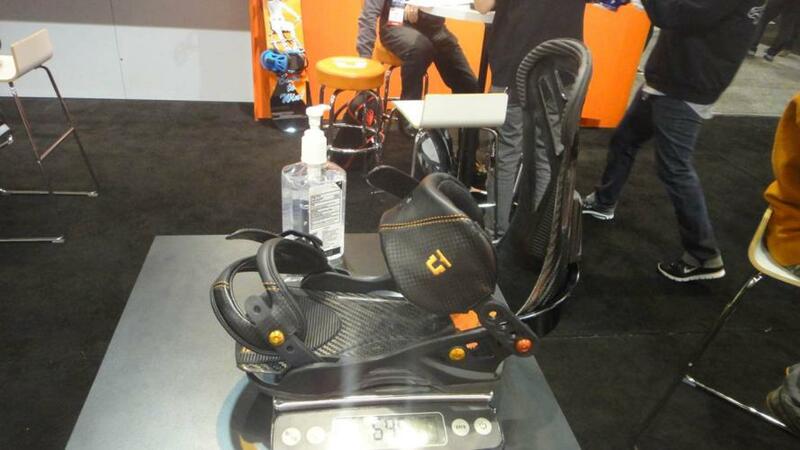 There is a new better fitting toe strap and a larger asymmetrical ankle strap. This changes up the ride a bit. Flex: This is a pretty stiff flexing binding. 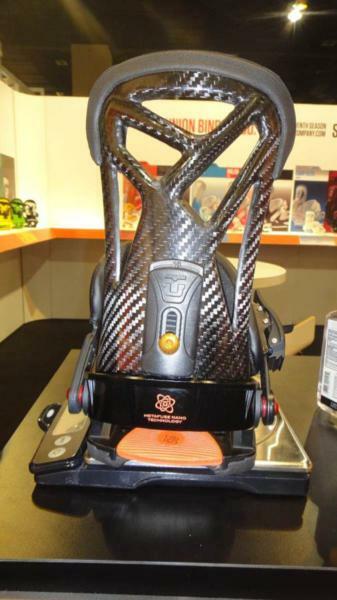 The carbon high back is almost exactly the same as the 2013 Union MC Metafuse and so is the base plate. It’s a little easier when you twist it but it’s really stiff when you pull right back. Adjustability: Same old adjustability going on here. 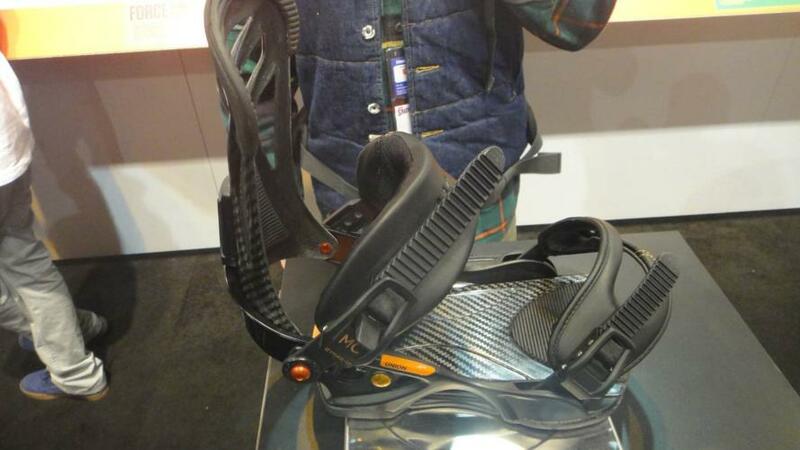 Union makes bindings that are more for attaching them to the board and riding. However even though they come in 2 sizes you can adjust the heel loop to fit your exact size better which is good but there isn’t much high back rotation. There also isn’t the ability to adjust the angle of the ankle strap. Most companies have 2-3 positions but you only have one with Union. Also the high back only has one hole so you can’t rotate the high backs in a normal way. Instead of 3 holes in the high back there is only one so you have to adjust the heel loop made for adjusting the binding to your boot size if you really want to do so. Also I’m not that amped on the super light screws. Most Union screws are just normal Philips head screws but the MC Metafuse screws are super light and a little brittle. I snapped one when I over tightened it where that never happens with the normal Union screws. 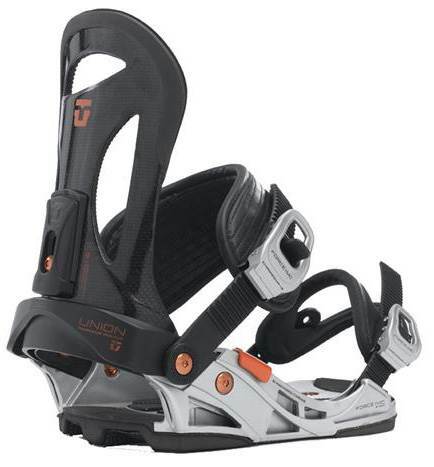 There are also less options when it comes to adjusting the ankle straps compared to the other Union Bindings. 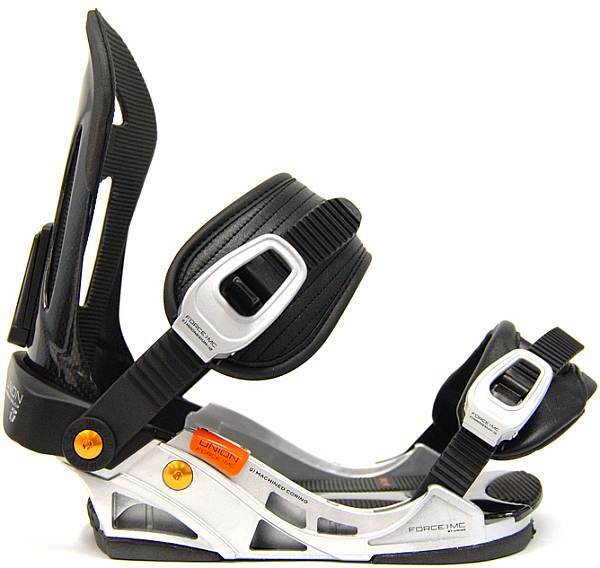 Comfort: This is a pretty comfortable binding and the new straps fit around your boot very well. The boot conforms to the high back and heel loop pretty well so it does a great job here. Heel-Toe Response: The Union MC Metafuse 2014 has the same excellent response here. The Union MC Metafuse can manuver just about any stiff board out there edge to edge very quickly. It changes the way your board under foot feels and works best with stiffer harder to turn boards. Still it can work well with less challenging to turn boards as well. Tip-Tail Response: Now the strong point of this binding is it’s ability to get a board to turn very well edge to edge but it also does a very good job of getting your board to flex naturally under foot. The Union MC Metafuse makes the board butter easier so it can work well with a stiffer twin or even a medium flexing twin. Boot Support: Before the 2014 Union MC Metafuse there wasn’t as much support but now the large asymmetrical ankle strap really locks in your boot for excellent support. It’s just a shade less of excellent than one of it’s super expensive competitors the Flux DM. The Ankle strap isn’t super large but it’s longer and larger than the other Union Bindings. Ratchet System: The 2014 ratchet system has improved over the 2013 so it takes less effort to release the toe ratchet this year. Shock Absorption: This does a good to borderline great job. 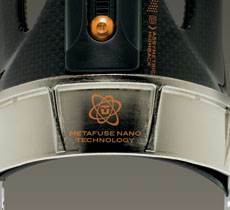 There is some carbon fiber instead of EVA foam across the top of the foot bed. There is some shock absorption in the heel and some in the toe. There is also EVA foam on the sides of the base plate but if you compare this to the Union Contact Pro or Union Factory it’s a lot less shock absorbent. That’s probably why it locks in your boot so well. So all in all there was a nice improvement with the 2014 Union MC Metafuse. For most the Union Factory or Charger will do the job if you want a really responsive binding but if you want more of a locked in feel and an exceptionally light binding then the MC Metafuse will do the trick. 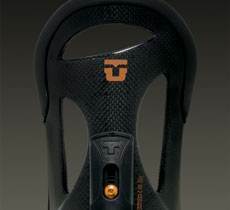 The Union MC Metafuse 2013-2010 competes directly with the Flux DMCC and the Burton Diodes. We feel of all the bindings the Burton and Unions have some of the best flex under foot. They do it in different ways but the result is the same. 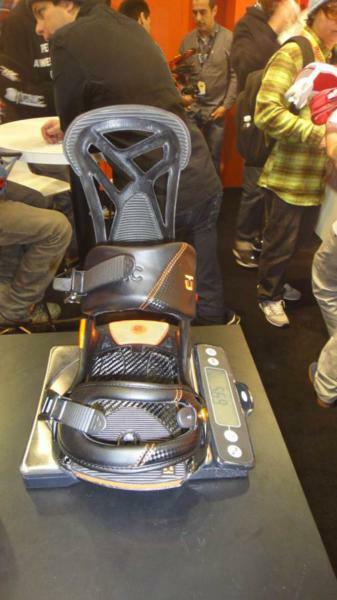 The Burton and Unions have the best Padding throughout the Base. The Diodes are the most responsive bindins in burtons line but have the smoothest turn initiation/least responsive edge to edge transitioning in this comparison. The Union Bindings have a more sharp/easiest turn initiation of all the bindings and the flux are second but have more of a smoother feeling like Burton’s. When it comes to ankle support the Burton and flux could be argued either way as the most supportive but with the new ankle straps from the 2012 Union Force SL and Force MC a much closer second than before. Unions Toe straps can be a bit sticky and especially so for those that like to crank em down tight. For some this is a big problem and for others it’s not that big of a deal. 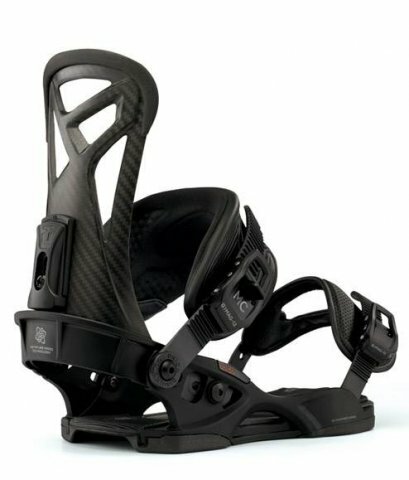 Flex– These bindings are a carbon ultralight version of the Union Force SL so they have a stiffer flex. The MC is still flexible but it’s a bit more snappy than the Union Force SL. Even though the 2012 is completely different in style the flex feels the same. Adjustability: Like all Union Bindings there are some issues here. One complaint we have about these binding is they require an Allen wrench to make any adjustments. This means that most pocket tools you buy won’t be able to service this binding. They do give you a little Allen wrench but its difficult to keep a little thing like that. So it seems that the only pocket tool that will work is a biking tool. This is rather frustrating and we wish Union would let these bindings gain a little weight and use normal screws. There is also that same issue with the SL’s when it comes to adjusting the ankle strap angle. There is really only one angle so if you like to have 3 angles like many bindings do you will be a bit disappointed here. If you adjust the ankle strap angle you will also adjust the position of your boot on the foot bed. 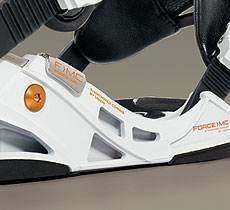 Comfort: The old Force MC was very comfortable but the 2012 is even more comfortable. 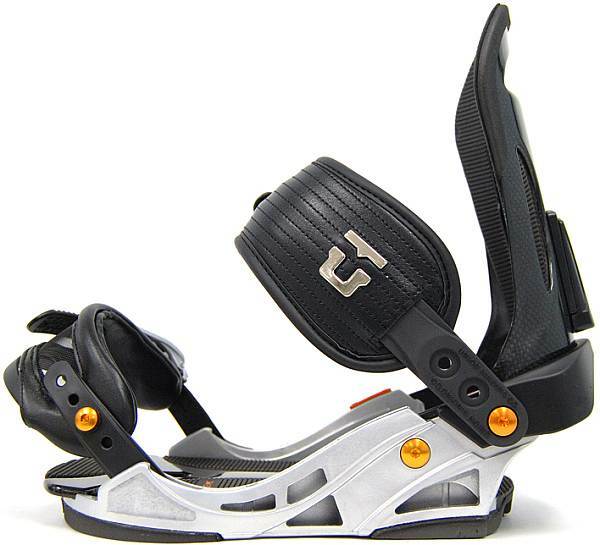 The new bigger asymmetrical ankle strap does a great job at securing the ankle and also creating a lot more comfort than the sub 2012 bindings. 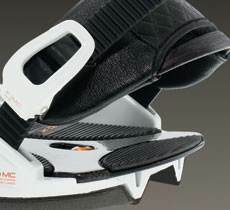 Response- You can feel the difference in response from the Union Force SL’s which are one binding down from these. The way these bindings are made they can have the same response as a much stiffer binding. The difference is the response is generated more from the base plate more than the high back. This is very similar to how the Burton EST bindings work with minimal contact on the board so it flexes more naturally torsionally and longitudinally. It’s amazing what these do to a board’s turn initiation. It’s like buying a new board. All Unions do this to some extent but the Union Force MC do it more than any other binding. 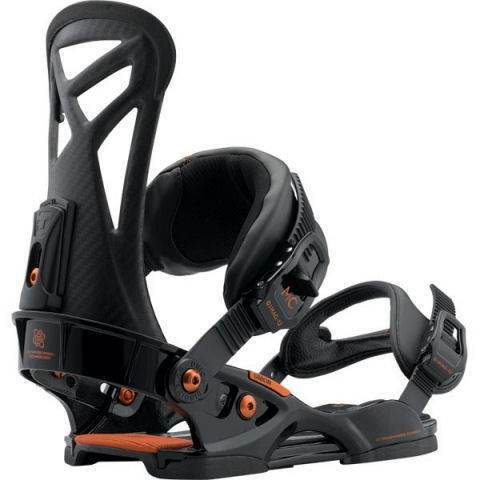 These are a great combo with a very aggressive mostly mountain to freeride board that takes some effort to turn. The 2012’s are going to have a little better response than the 2011’s and below due to the better everything. 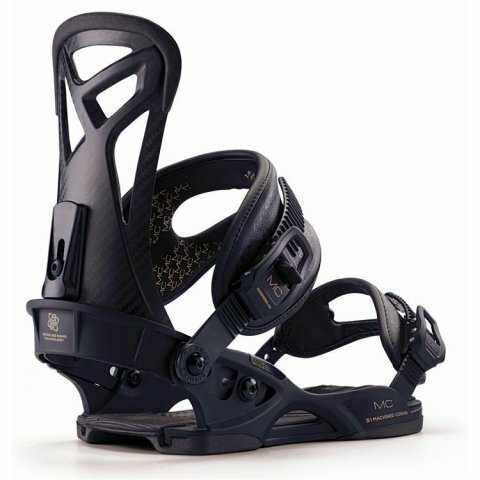 Weight– These bindings are incredibly light and right up there with the lightest in the industry. We didn’t scale them but it almost feels that both bindings weigh as much as one binding from other companies. Lateral Movement- The asymmetrical ankle strap is possibly our favorite improvement over all the other improvements. Not only does it provide better support and comfort but it makes for much better lateral movement. With the minimal contact with the board and the new bigger ankle straps the Force MC is great when it comes to flexing the board any way you want. Shock Absorption– Super damp and super shock absorbent. 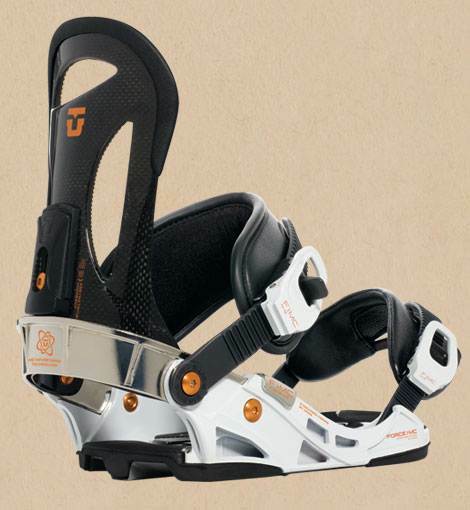 The bindings have the ability to absorb a lot of shock and are virtually chatter free. It might not be the most cushy but it’s right up there with the best of them when it comes to absorbing shock. When it comes to dampening it’s one of if not the best. All in all the price tag is pretty massive and if you can deal with the Allen wrench screws the Union MC Metafuse s the choice for the serious ultra rich gear whore. We personally feel the Union Force SL is enough for anyone with a much better price point but those that have to have the best will disagree. 2012 Union MC- We wanted Union to make a better ankle strap and for 2012 they did a lot more than that. The Base Plate, ankle strap, high back and toe strap are new and improved to keep this at the top of the food chain. To us this is overkill and we didn’t like the ultra light Allen wrench screws everywhere. We’d change it out with the SL’ regular Philips head screws. If you have to have the best and lightest that is what this binding is for. The Union Force MC from 2010/2011 is incredibly light, has a leather version of the contact ankle strap, an original toe strap and a carbon fiber high back. We try to get as many images of the Union MC Metafuse, but forgive us if they're not all there.